Datsun, the budget sub-brand of Nissan, revealed the Cross at the beginning of this year and flowing it up is the facelifted version of the Go hatchback. We have indulged you into what might be on the cards in the new version earlier and now clear spy pictures have emerged indicating some of the important details. 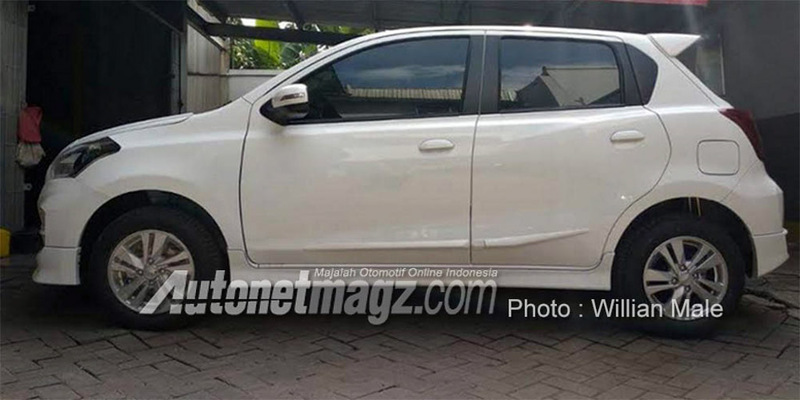 Caught undisguised in Indonesia, the images come courtesy of Autonetmagz and they reveal exterior changes that could also be incorporated in the India-spec version when Datsun decides to launch the model locally. As for the notable cosmetic modifications, the Datsun Go facelift gets new Outside Rear View Mirrors with integrated turn indicators, a fresh looking redesigned headlamp unit bringing a sleeker stance, new lower air inlet and tweaked bumpers. The obvious inclusion to the side profile is the new multi-spoke alloy wheels while parking sensors have been relocated as well. 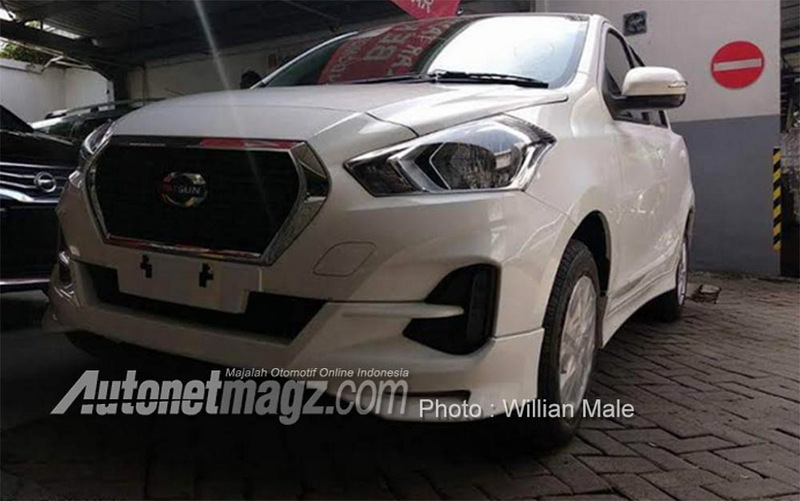 Datsun’s Indonesia division would not shy away from selling a sporty body kit either and it consists of side skirts, spoiler and underbody spoiler adding aggressive notion to the hatchback. 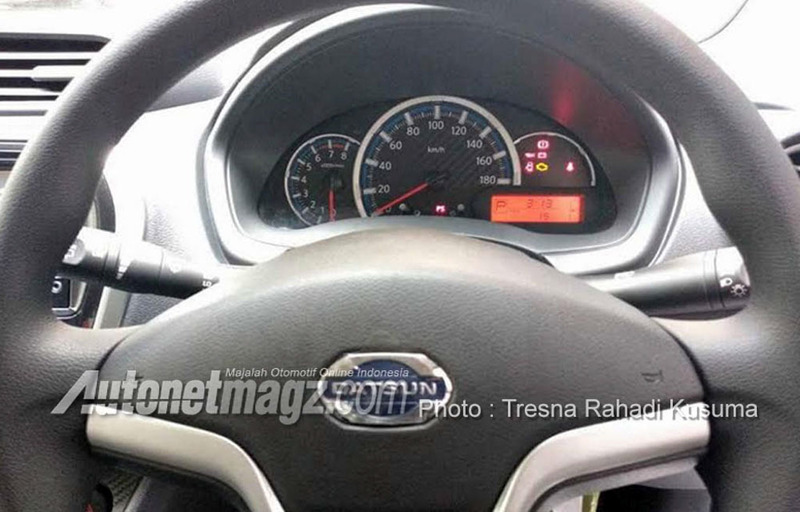 On the inside, the updated Go receives a brand new instrument panel taken from the Datsun Cross as we predicted. However, the 6.75-inch touchscreen infotainment system won’t be offered as the regular audio unit continues to be there for cost-cutting reasons as the Go hatchback is popular for its affordability. No mechanical changes have been implemented as the Go stays up with 1.2-litre three-cylinder petrol engine. The HR12DE unit is good enough to produce a maximum power output of 68 PS and 104 Nm of peak torque. It is connected to a five-speed manual transmission as standard. 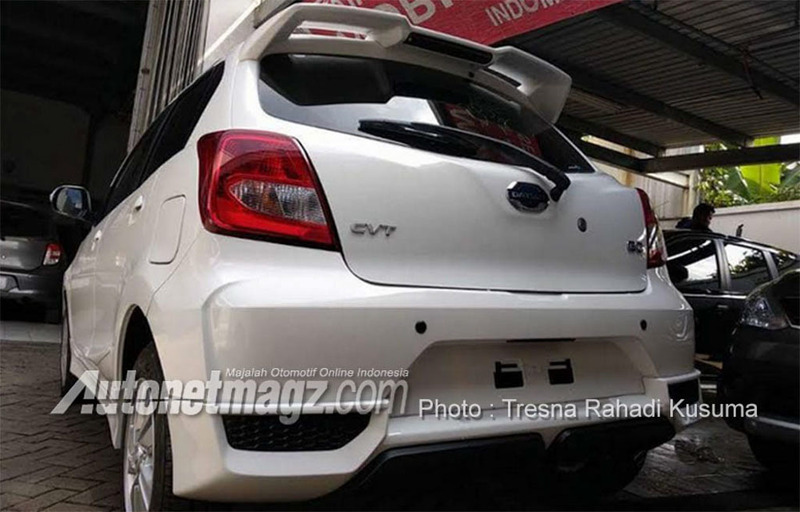 A new CVT option will be introduced as can be seen in the spy picture with badging on the trunk gate. With Indonesian market entry possible on May 7, we can expect it to reach India by late 2018 or early next year.